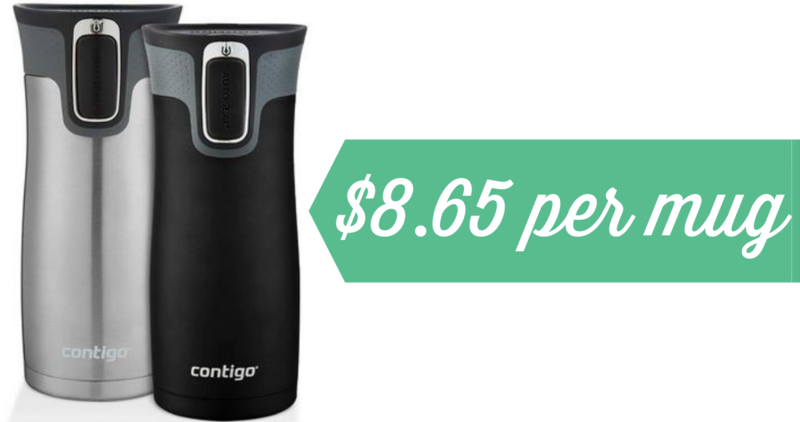 Right now, Amazon is offering up a Contigo Travel Mug 2-Pack for just $17.29 (regularly $31.99)! Like getting it for $8.65 per 16 oz mug. Note: must choose the Matte Black & Stainless Steel color combination to get this price. My husband switched to Contigo mugs a few years ago and now only uses these. I finally went through the cabinet and donated all the other travel mugs we had that weren’t Contigos as they were just collecting dust and taking up space. These really are amazing for never spilling and keeping coffee hot! This offer could change at anytime, so hurry and grab this one while you can. Shipping is FREE with Amazon Prime or with orders of $25 or more.